Fair Binary Options proudly announces that we are nominated for this prestigious award once again! The industry has recognized efforts that Fair Binary Options put into creating the entire world of binary options more safe for traders. For this reason, industry insiders awarded us with iGB Award for ‘Best Binary Website’ two years in a row – 2014 and 2015, which outstanding success. This year, FBO is nominated once again, in the category for ‘Best Finance Website’ 2016. The category is a new addition to influential and prestigious awards and was created by merging two old categories – for binary and forex websites. FBO is flattered to be among other 6 websites, and sees this honor, but also as an obligation to continue to work the same way and improve even more in the upcoming years. Fair Binary Options team will attend the award ceremony that takes place on February 4th in London, and in the video below you can see how we received the award in 2015. There is a saying that with great power comes great responsibility, an FBO will not let the success change the high standards we set during the years. We are pleased that our colleagues recognized the effort we put in our business, but we will continue to improve not only FBO standards but also standards of the entire industry. FBO is known as market leader in many ways, but most important, as one that is recognized by traders who can count on our help. Fair Binary Options website will continue to act according to a strict code of conduct that made us so popular. Modern trader encounters many difficulties, and it is our role to help them in case they have been scammed, can’t find any data on the broker, or help them get their money back (in the most extreme cases). Education is of high importance in every field, and binary options are no exception. Providing information that can help traders to choose the trustworthy broker is our mission, as we strongly believe every trader is important and has the right to safe trading environment. Fair Binary Options doesn’t charge fees when it comes to helping traders, so they don’t hesitate to ask for our help. Winning the award for ‘Best Binary Website’ two times in a row is something we are proud of, and we are sure that it is a result of our strong ethical values and effort. We won’t let these awards make us any different, as the binary business is in constant change and such dynamic environment requires constant updates and improvements. 2015 was a great challenge for the binary industry, and for us as well. No matter the circumstances, we managed to stay on the top and implement additional new features.  iGB Awards take place during London Affiliate Conference – one of the most important events in the online trading and online gaming industry. They are awarded by a team of experts, which makes them, even more, significant. Winning this awards is among our greatest achievements, as they are a clear sign the industry understands the dedication to our work. More than ever, people spend time online: playing games, dating, learning, and also, investing. It is understandable that when it comes to money, everyone wants their funds to be in good hands, and to get as much value as possible. Information that are up to date, warnings and explanations are making the binary industry safer, and FBO is truly dedicated to enabling traders the best experience by providing them superb resources of information and educational materials. When FBO started we promised ourselves, but also to our readers that we will do our best in creating a safe trading environment, and thanks to iGB Awards, our efforts have been rewarded. So far, iGB awarded only to awards for the best binary website, and we are proud to say we won both of them. Winning them in such short time span is additional proof that we continuously work on improvement of the binary options trading. Just a quick glance on our name clearly shows our mission – fairness. Binary options industry is often considered unfair towards average trader, so when we realized there is a real chance of making it more reliable, we took a leap of faith and started our battle for the better trading environment. The success never comes over night, so through years, we put a lot of effort into the website – both its resources, development and quality material. We believe that future of binary options lies in the more transparent market, and we see ourselves as warriors who will fight for the customers’ protection, with strong beliefs in fairness and integrity. There are many reasons why traders need our help. Sometimes, unfair broker won’t process the legitimate withdrawal request or simply follows unethical practices. This is when we step in. All trader has to do is contact us, and we will provide all the help they need. On FBO, website traders can find an e-mail address that connects them to our specially educated team committed to resolving cases. In situations when traders seek our help, our employees are connection between them and a broker. One more thing we always advice to traders is to look for a regulated broker. Even though there are corrupt regulated brokers, most of them are reliable and trustworthy, so read the reviews first. FBO often dedicates time to exposing another type of scams and unethical practices. We are proud to our independence and we must admit that sometimes scam brokers offer us to forget about their practices and do business with them instead, but we never accept such unethical offers. In order to create the sustainable and professional environment, we must be dedicated to our goal without exceptions. 2015 was a busy year, and just in last six months, FBO responded to over 600 requests. In average, that is 4 requests a day, but luckily not all requests were scam related. Individual cases of scammed customers are not our only concern, as we believe that transparency of the entire industry is of great importance. It is our mission to warn the general public which brokers and other service providers should better be avoided for their unprofessional practice. Prevention is the best cure for all troubles, so it is of great importance to introduce traders to potentially scam brokers, and prevent them from depositing in the first place. In order to give a good overview over various types of brokers, FBO created several sections dedicated to them. Readers can find useful reviews, guides, reports and the latest news on the industry. These articles help traders to get familiar with rules of the industry, but also with various analytical tools and hidden meanings in terms and conditions. In broker reviews traders can learn about bonus rules, payment method, various services, depositing and withdrawing etc. If FBO testers believe some aspect is unfavorable towards the trader, they will clearly state so. We always accentuate any information that we consider could get trader in trouble. Fair Binary Options provides only the correct information that can help traders to enjoy binary options in the transparent and secure way. A section dedicated to news in the industry is regularly updated with the latest information regarding trading, but also broker promotions, regulation alerts etc. FBO is always trying to improve its services, so the past two years have been a market with a number of changes that improved our delivery. Keeping in mind that modern trader doesn’t always pay much attention to the details, we created an even more, user-friendly interface that provides a superb experience. Binary options are a global phenomenon, so in 2014 FBO team decided to go one step further and create a network of web-sites in a great number of languages in order to reach as many traders who need our help. At the moment, we provide 17 local versions, and each of them is completely free and available to all traders interested in binary options. Nowadays, there are more than billion people who can read our content, even if English is not their mother language. The importance of this innovation is clearly seen in our traffic, as more and more of it is driven by the website in local languages. Binary options are not reserved for English speakers only, and people from entire world look for our help. Unfortunately, frauds are a global problem, and we are lucky to provide help to all traders in need. In 2015, we launched New Zealand website, as well as Roman and Lithuanian, and in future, we hope to add even more local websites to our list. Content is localized and adjusted to specific markets, and new features we are implementing will provide additional support to traders in need. FBO will continue to provide support to all individuals who have been scammed, but in addition, we are intensively working on the improvement of warning signs in order to prevent traders from depositing with scam brokers. New changes have improved their security and have been added during the latest changes on our websites. We decided to put all potentially dangerous brokers to two lists: Blacklist and Rogue Pit list. Now, all brokers who practice business in an unethical manner are in one place, so traders get a clear overview of the situation on the market. Just a quick glance discovers what the broker is about, and why it should be avoided. We also added the company information, as many firms change brands, but continue with fraudulent activities. Sometimes, traders don’t have enough time for a thorough research, so they tend to access scam brokers anyway. For this reason, FBO created an advanced warning system that redirects users to safe and reliable brokers. By doing so, we minimized the chance for traders being scammed in the first place. Preventing traders from investing with a bad broker is definitely a better solution than letting them do so and providing help afterward. New reviews design also provides additional details on the broker. Just by the opening a review, traders can see whether the trader is recommended by FBO or not. Everyone wants to make a safe investment, so additional features we added in recent past have been one step further on the market from anything we’ve seen before. Amazing customer experience is our primary goal, so we provide help even to those traders who didn’t access brokers from our website, but also answer all questions regarding the services in the industry. Fair Binary Options truly believes in high standards, so we blacklist all brokers who show any tendency to unprofessional behavior. In some cases, that means lower income for us, but FBO always tries to see a bigger picture and have long-term plans for the safer trading environment in the future.